The weekend's saga concludes for a galaxy of runners! After running more than 19 miles in just three days, my journey at the 2016 runDisney Star Wars Half Marathon Weekend is complete. I have been training for this moment for months, but never have I run so many miles in so little time. This is my personal saga as I complete my first ever half marathon surrounded by thousands of Star Wars fan from around the world. 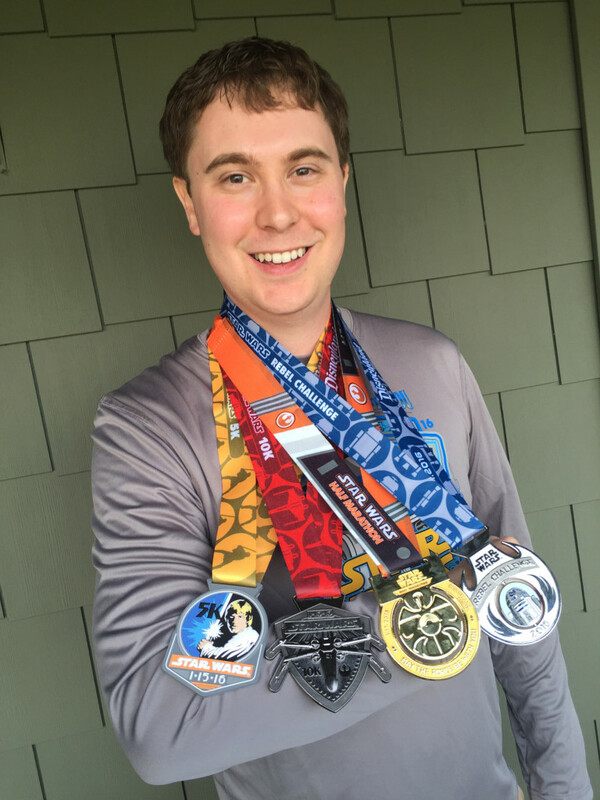 As I recapped last week, my 2016 runDisney adventure began on Friday with the Star Wars 5K run. This 3.1 mile route weaves through Disneyland Park and Disney California Adventure. 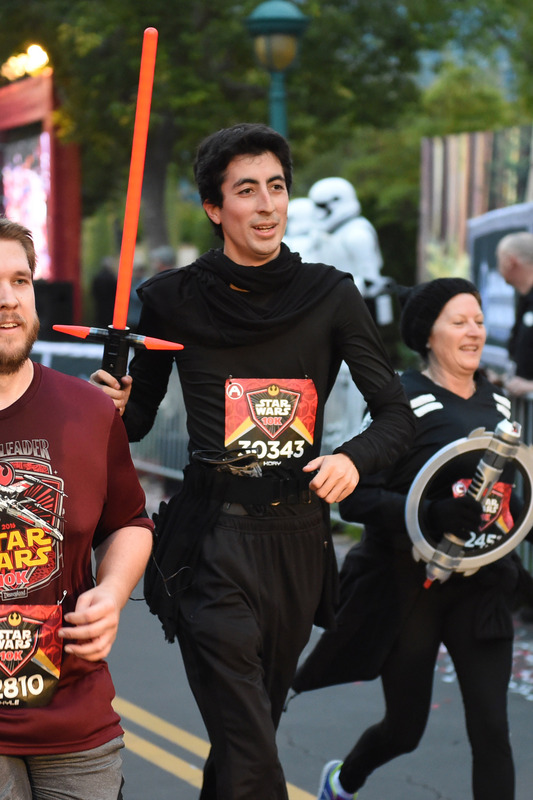 The very next morning, I hit the course again for the Star Wars 10K. Both races take place in and around the parks, which are filled with special entertainment, music, and photo ops. 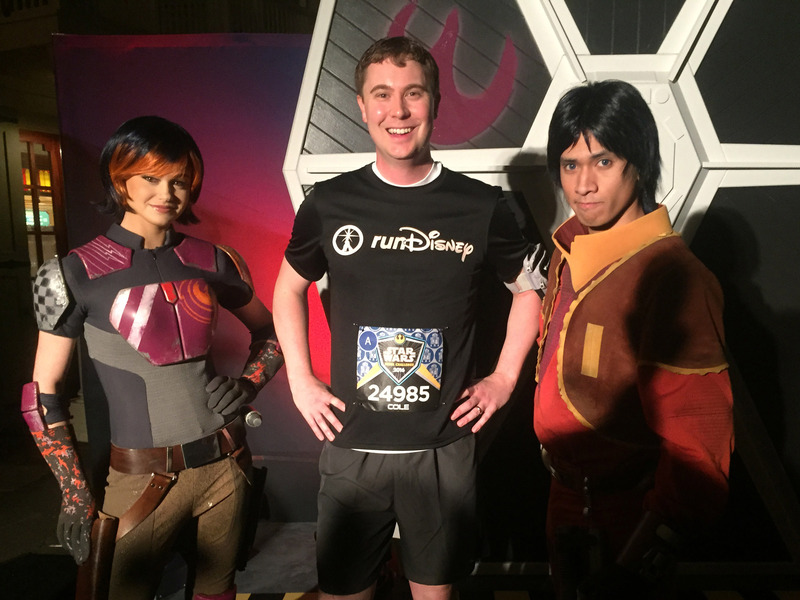 I was making great time during the 10K, so I took a break to get a photo with Sabine and Ezra from Star Wars Rebels. Like all of the character photo ops, there was a fitting backdrop for the photo; in this case, a TIE fighter wing adorned with Sabine’s signature graffiti. I finished the 10K at a twelve-minute pace, which is actually faster than I had planned. Knowing that I had a thirteen-mile run ahead of me, I had hoped to take my time during the 10K, but I got caught up in all of the entertainment and excitement. Now I had a new problem: Would I have enough endurance left to run at a solid pace in the Half Marathon less than 24 hours later? 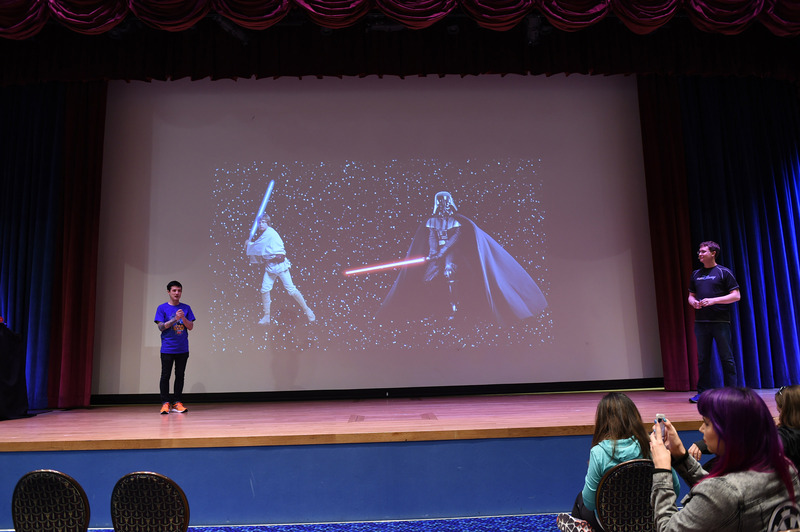 Between races, Lucasfilm’s Matt Martin and I gave our final speaker series presentation of the weekend. 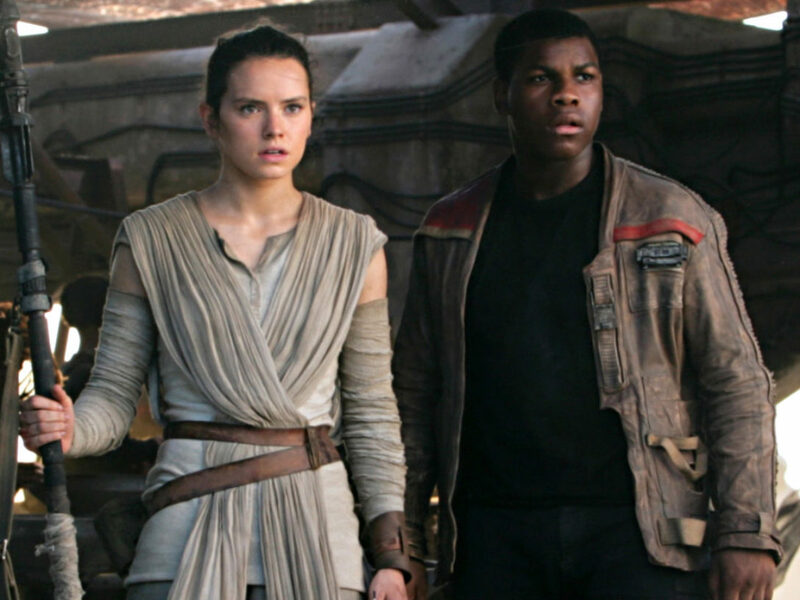 Titled “Running Through the Galaxy,” we touched on the basics of the saga while talking about the Star Wars saga from a running point of view. We wrapped up the talk with a preview of the future and audience Q&A. It was great to see so many fans of all ages at the Expo and we loved hearing your questions. Sunday morning soon arrived and I joined thousands of other fans in the start corrals for the Half Marathon. Having run so hard the day before, I wasn’t sure if I would run out of gas somewhere along the thirteen-mile course. The racecourse itself was quite different from the previous two days. Not only did the race take us through both of the parks, much of the course also goes through the local streets of Anaheim. Running through the parks, like always, is a huge motivator for me. Whether it’s the cheering cast members who come out to encourage the runners or the little entertainment surprises scattered throughout, I always manage to make good time. Once we moved into the streets of Anaheim, I wasn’t sure what to expect though. To my surprise, the latter part of the race was most impressive. Community organizations, cheerleading teams, and even marching bands showed up to cheer us on. As I ran by one band, they played the Throne Room music from A New Hope. Hearing that while I ran was the closest thing I’ve ever experienced to a runner’s high. At mile nine, right when I was feeling my most tired, I ran by a whole block of Star Wars fan costuming organizations. Seeing the 501st Legion, the Rebel Legion, the Mandalorian Mercs, and the R2 Builders at this stage was a huge help. I even got a hug from a Jawa — just the pick me up I needed to keep going. Before I knew it, I reached the finish line with a final time of 2 hours, 40 minutes and 17 seconds. My average pace of 12.23 seconds was better than I expected, even after overdoing it the day before. I had never run that fast for that long in any of my training, so I could only chalk it up to motivation. Best of all, from completing both the 10K and the Half Marathon, I had two medals waiting for me at the finish line. 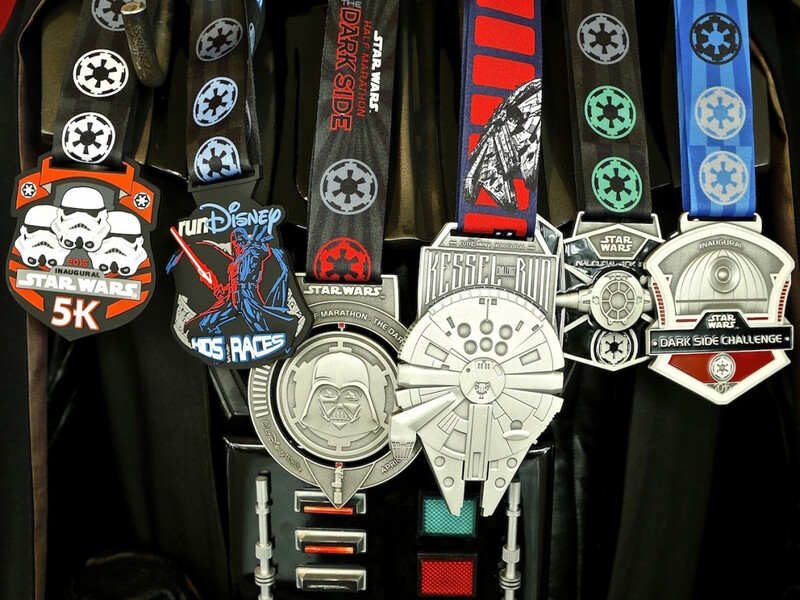 The R2-D2-inspired Rebel Challenge medal is the Star Wars collectible I am most proud of in my entire collection. This entire event weekend was a blast. 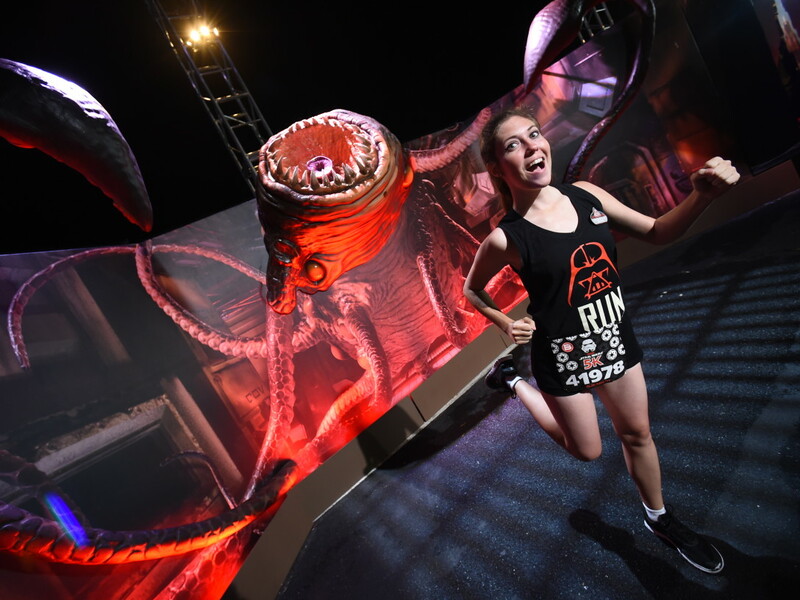 I can’t wait for many of you to join me on the Dark Side this April for the runDisney Half Marathon Weekend – The Dark Side at Walt Disney World Resort in Florida. 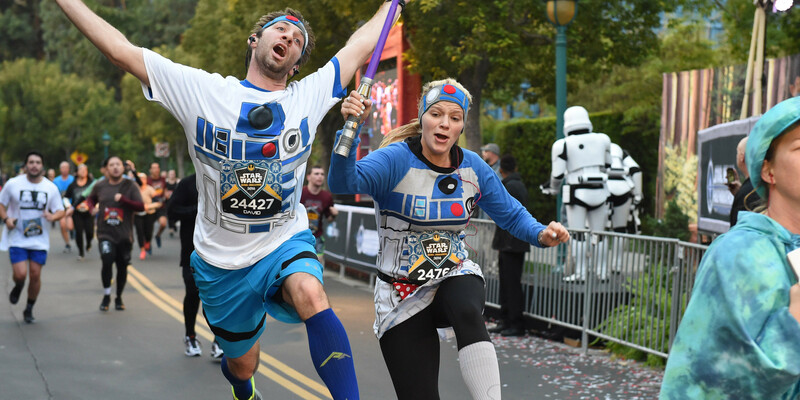 Follow @runDisney on Twitter and Instagram to join the fun using the hashtag #StarWarsHalf. Stay tuned right here on StarWars.com as I prepare for the ultimate Star Wars running test, the Kessel Run Challenge, by attempting my second Half Marathon in April. I hope to see you there! Cole Horton is a full-time Star Wars fan and a small-time athlete. 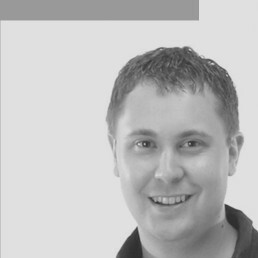 He is the co-author of Star Wars Absolutely Everything You Need to Know and also makes games at EA. You can follow him on Twitter @ColeHorton. 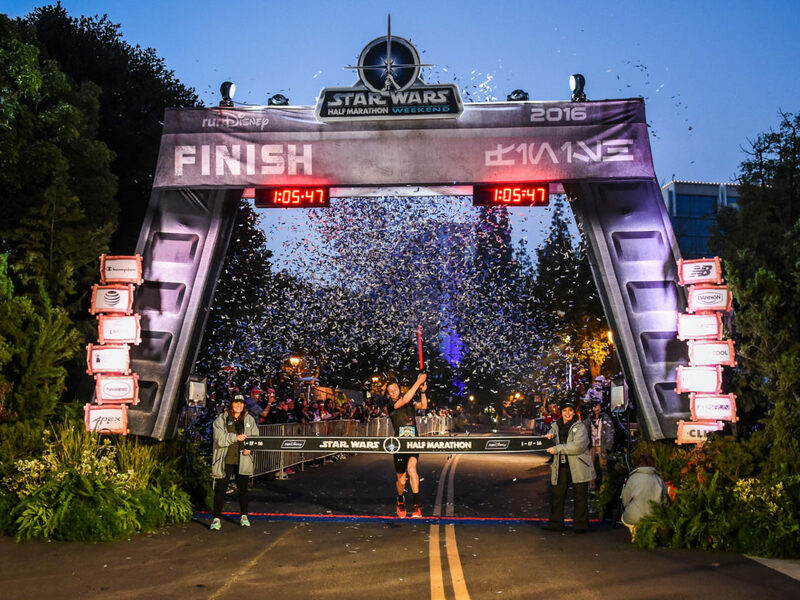 Revenge of the Runners: runDisney Star Wars Half Marathon – The Dark Side Final Report! 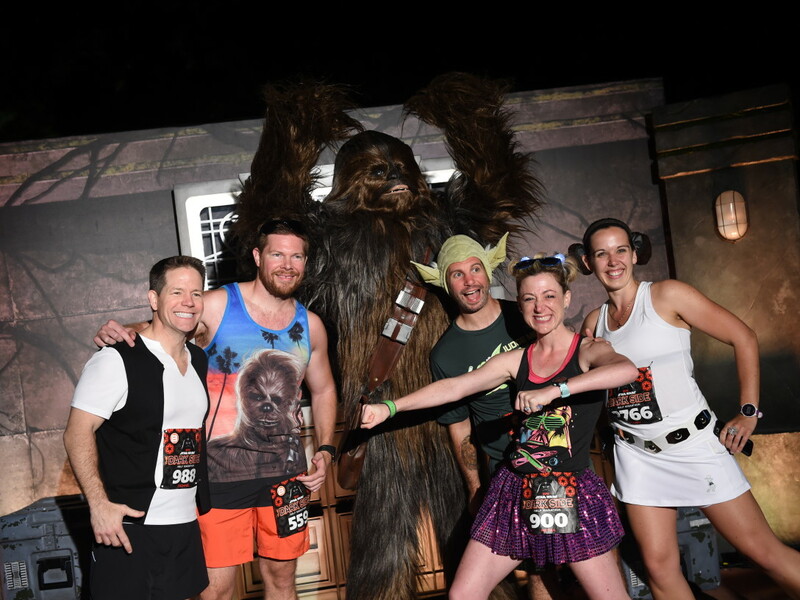 runDisney Star Wars Half Marathon – The Dark Side Begins! 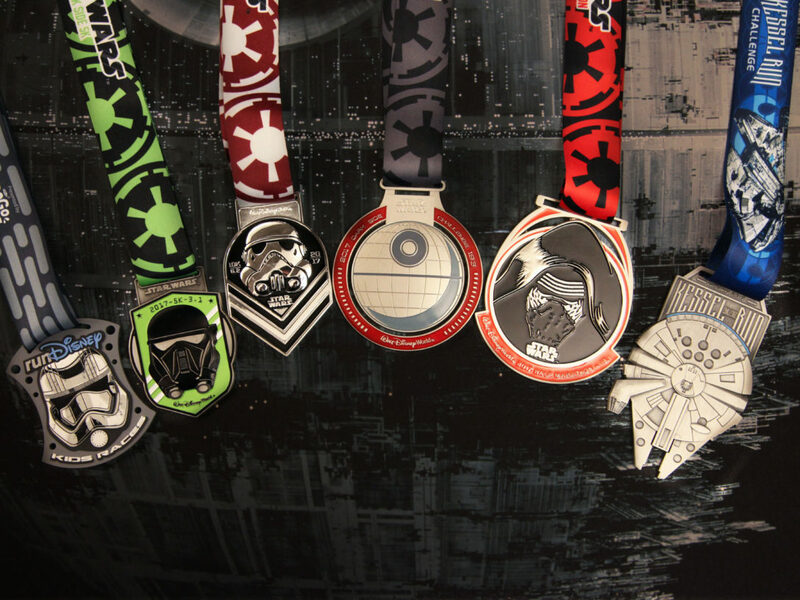 runDisney Star Wars Medals Are Most Impressive – Exclusive Preview! 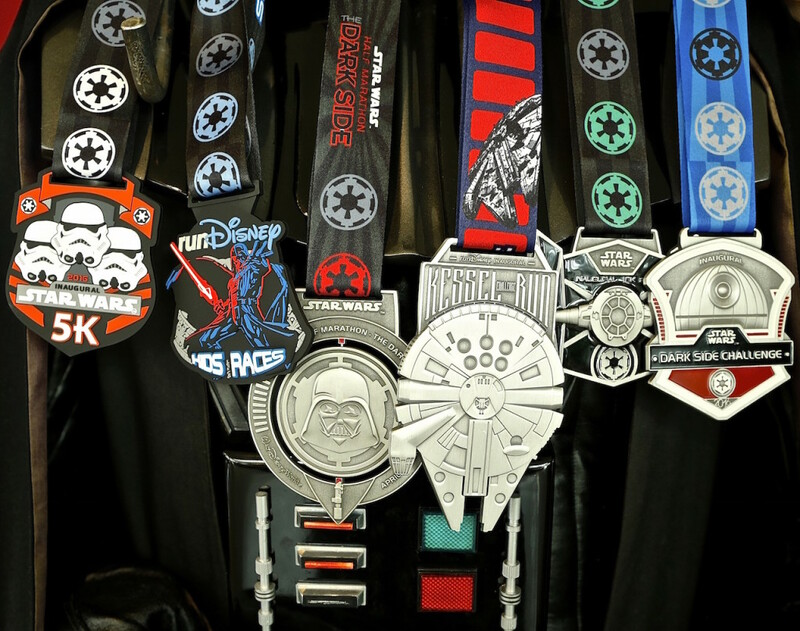 Feel the Power of runDisney’s 2017 Dark Side Medals – First Look!